Today’s corporate world is very competitive and image is everything. 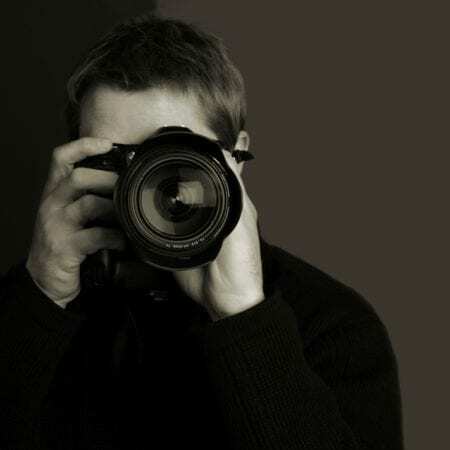 Your head shot should capture your energy and personality as well as represent your company’s brand. Let us photograph you at your best. There are so many components to a corporate conference or meeting: lectures, breakout sessions, guest speakers, Q&A’s. Our photographer can capture your event for marketing, PR, and/or internal archival purposes. As your meeting attendees move through the program, we will be on hand to cover all the action and detail that is unique to your event. A strong web presence is key in today’s corporate marketplace. It is important that your website has visual content as well as text. A picture is worth 1,000 words. Let us create images that excite your viewers showcase your company brand. Some suggestions: executive head shots, on location staff and team photos, product shots, office environment. If you are hosting a party for your newest project, product line or service, it is important to have images for social media, marketing, press or internal use. Sarah Merians Photography & Video Company can capture all facets of your event: guests arriving, specialty entertainment, product shots, key VIP guests. If you are looking to submit images for press, we are happy to coordinate with your PR contact directly. Sophisticated, clean and modern, our new interactive photo booth set up features a sleek white backdrop. Your event guests can pose for our cameras, or they can snap away on their own with our self-release cable. The end result? Fun and clean images captured documentary-style and a take home gift for each of your guests. The booths is perfect for your next company event. Our corporate video team has experience covering a wide range of corporate events from conferences and meetings to larger formal affairs. Sarah Merians Photography & Video Company also offers custom services for clients looking to create a promotional video piece showcasing their product, mission, and/or services. Shoots can be scheduled in our studio or at an off site location of your choice. Work one on one with our talented editors to fine tune your finished product. Whether it’s an event for incoming students, an alumni gathering or an annual gala, let us photograph your next college or university function. We cover events for local schools as well as some international universities. Some repeat clients include Columbia, Harvard, Cornell, Syracuse, GWU, and Brighton College UK. Celebrate and congratulate honorees by presenting them with a photo of their award acceptance at your annual company gala. These events are also a great time to capture your team with their significant others looking their very best. We can cover all the important elements: décor, guest arriving, speakers, board members and their spouses, specialty entertainment, VIP guests. A daytime event is an opportunity for companies to think outside the box, host out of town business associates, and inspire guests with speakers and presentations. Photographically documenting these events can provide content for a wide range of uses such as website and social media content. Whether your cocktail reception is a formal affair, or a low-key gathering hosted in-office, it’s a great opportunity to capture your team interacting with your clients. Relationship building is so important – Let us capture this energy. The holiday season is the perfect time of year to thank your employees and/or clients, and to show appreciation. Photography services for corporate holiday parties include: photo coverage, photo booth stations, take home gift prints. Capture the holiday spirit! Capture your guests looking their best at your next formal company dinner. Let us capture: guest arrivals, VIP speakers, honorees, dancing, entertainment. Whatever your event entails, we will be there to cover all key elements of this special evening. Showcase your company’s product line with a fresh, new image portfolio. Schedule your product shoot at our studio, equipped with professional lighting, or hire us to shoot at an off-site location of your choice. Use these images for marketing, PR, website development or archival purposes. Sarah Merians Photography & Video Company supports many charities and causes, both locally and globally. We can cover your event including presentations, awards, auction items and more. Let us photograph your next event and make a difference together! Employees deserve a little play time and customers deserve a little thanks. Company and client outings are a great way to build team spirit, enhance workplace culture, and boost morale. Photos from your retreat, or special outing, provide your attendees with a lasting keepsake of your appreciation!